After many years of hard work and anticipation the European Space Agency has formally announced the countdown for the launch of the Herschel and Planck Space Telescopes. The two telescopes are scheduled to be launched together onboard an Ariane 5 rocket, on May 14th 2009. On Thursday May 14th 2009, George Contopoulos, Professor Emeritus of the University of Athens, Academician of the Academy of Athens, and Honorary President of the Hellenic Astronomical Society, will receive an honorary Doctor of Philosophy degree from the Department of Physics of the University of Athens. The ceremony will take place at 8:00pm in the Central Auditorium of University of Athens. 3. MEETING OF THE GOVERNING COUNCIL OF HEL.A.S. In this news-item we present all activities related to the International Year of Astronomy which, to our knowledge, are scheduled in Greece this coming month. If you wish to have your planned activities included in this mailing please inform the Editor of the e-newsletter. 9th of May - Talk of Prof. K. Tsinganos (Univ. of Athens) entitled "Jets signaling the birth and death of stars", at the city of Kyparissia Messinias. 13th of May - Talk of Dr. M. Harsoula (Academy of Athens) entitled "The Dance of Galaxies", at the at the Megaron of the Academy of Athens. 15-17th of May - Three day Astronomy Symposium for the public of the city of Athens. The event will take place at the historic building of the Univ. of Athes at Propylaia, and the program, available as a 20MByte PDF file, consists of a number of public talks in the early evening followed by observing the night sky. 27th of May - Talk of Dr. S. Bassilakos (Academy of Athens) entitled "Modern Cosmology: The creation, structure, and evolution of the Universe", at the at the Megaron of the Academy of Athens. [News provided by the EAS] The European Astronomical Society (EAS) announces that this year’s winner of its Tycho Brahe Prize is the French astrophysicist Prof. Dr. Françoise Combes. The Tycho Brahe Prize is awarded annually in recognition of the development or exploitation of European instruments, or major discoveries based largely on such instruments. Françoise Combes is one of the leading astrophysicists in the field of extragalactic astronomy in the world and holds the title of "Astronome 1ere classe Exceptionnelle" at the Observatoire de Paris (France). She is author or co-author of more than 300 refereed astronomical publications which have received over 8000 citations, along with numerous invited reviews, as well as several books including two textbooks: "Galaxies and Cosmology", and "Mystères de la formation des galaxies". She has done fundamental work in the area of dynamics of galaxies, on the interstellar medium in extragalactic systems, on molecular absorption lines in the intergalactic medium, and on Dark Matter in the Universe. The basis of her work is formed by observations in the optical using the Very Large Telescope of the European Southern Observatory (ESO) and in the radio domain with telescopes of the Institut de Radioastronomie Millimétrique (IRAM). These observations are then combined with theoretical studies. 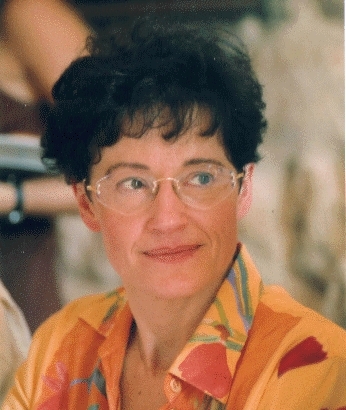 Françoise Combes is a prototype of the “New Astronomer” who efficiently combines observations at multiple wavelengths with theory and numerical modelling. Françoise Combes has established very successful scientific collaborations with many groups in Europe and the USA. Chairing one of the five panels of the European initiative ASTRONET, she has contributed substantially to the planning of future European instrumentation. She is presently editor of the European journal Astronomy & Astrophysics and was President of the French Society of Astronomy and Astrophysics. She has received many distinctions among which that of the "Chevalier de la Legion d’Honneur", the Silver Medal of the CNRS, and the IBM Prize in physics. She is also a member of the French Académie des Sciences. This Newsletter was sent to all members of Hel.A.S. who have e-mail access. The next edition of the Newsletter will be mailed around June 1st 2009. Please send your announcements (e.g. appointments/departures, job openings, research opportunities, awards, conferences in Greece) or comments before May 25, 2009. If you do not wish to receive future issues of this Newsletter or the e-mail address to which it was sent is not your preferred one, please inform the Secretary of Hel.A.S.